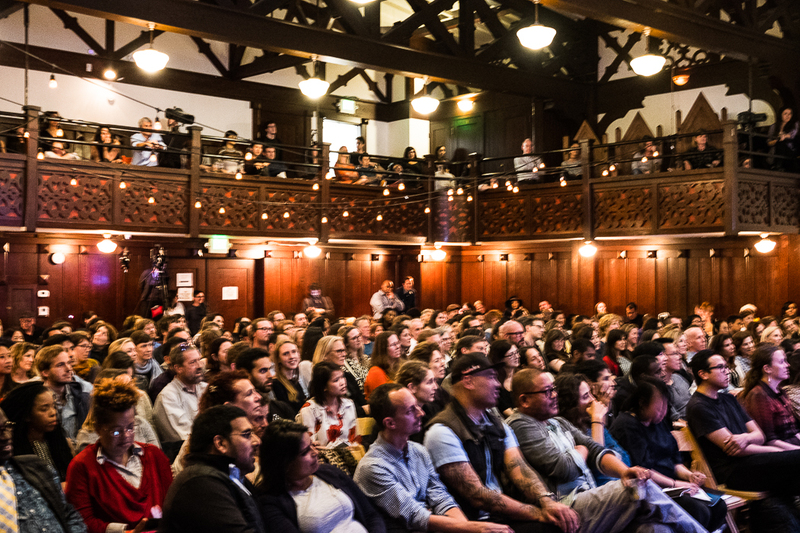 F&B: Voices from the Kitchen, La Cocina’s latest storytelling performance on April 7 at The Swedish American Hall featured the impassioned words of more than a dozen chefs, poets, writers, historians and activists on the topic of Race. The evening started with food and drinks from both well-known chefs and a couple of graduates from La Cocina’s Incubator program. 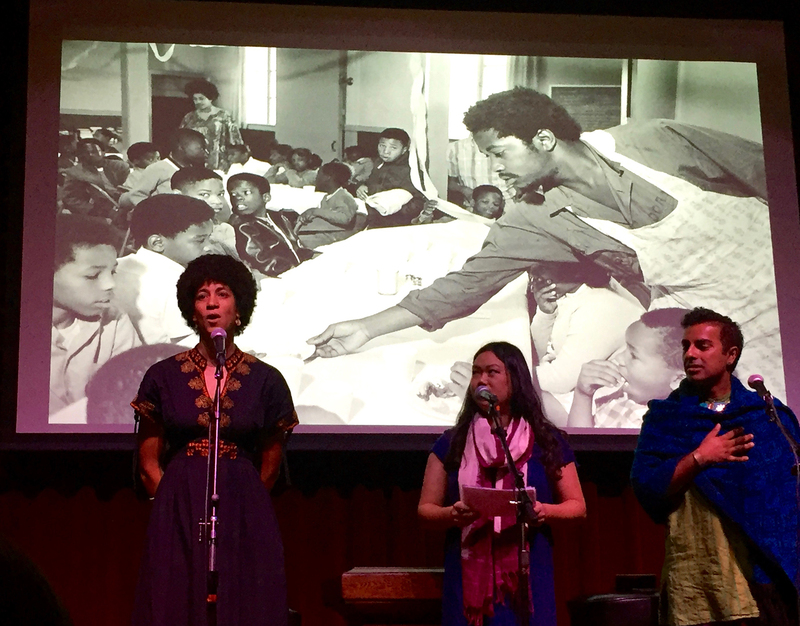 As inspiration, they described the Black Panther Party’s Free Breakfast for School Children program that began in Oakland in 1969 and in a few years fed over 100,000 children nationwide. It was so successful that it inspired fear in J. Edgar Hoover, the head of the FBI, who called it “the most dangerous domestic threat to national security.” The PKC explained that while the state was trying to keep food out of the hands of black and brown children, the Black Panther Party viewed breakfast as an active tool of resistance. The breakfast program was revolutionary. And now there are free breakfast and lunch programs in schools. Why don't they come with a history lesson? they ask. Why don’t we teach children the roots of that meal? 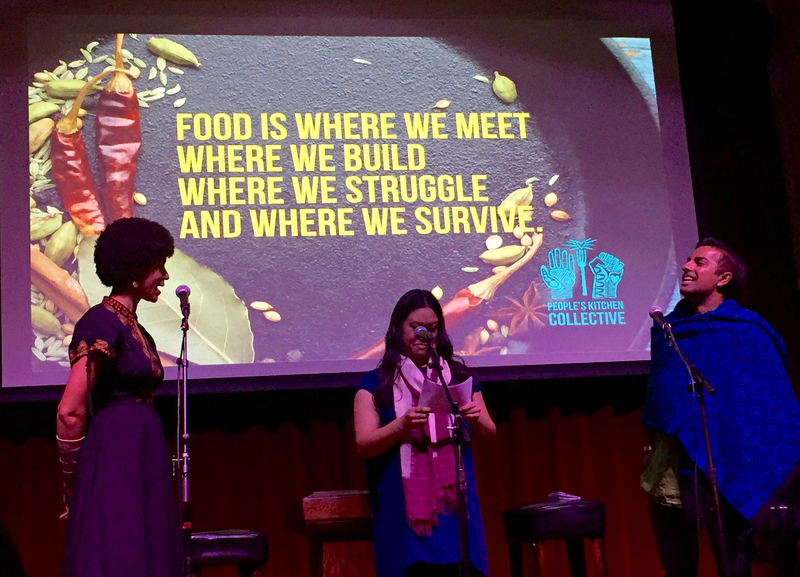 The three co-founders of the PKC then challenged the so-called “Farm to Table” movement to acknowledge that food does not magically make it from the farm to the table without the toil of people in the middle. It would be more accurately termed “Farm to Kitchen to Table.” And why, they asked, should this food be enjoyed only in restaurants? The meal can’t end at the table. It should be accessible to all people, so a better motto would be “Farm to Kitchen to Table to Streets.” And they exhorted the audience to take this message out on the streets. 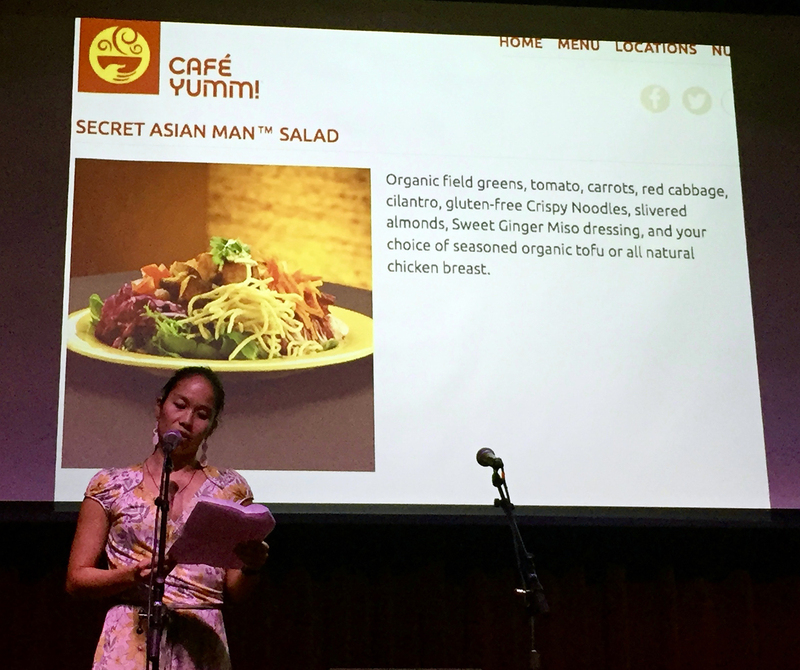 Even though the subject is just salad, Tsui views the use of broad terms to reference an entire continent as stereotypical. The problem is that the words are a blind spot for white people who don’t consider themselves racist. And even with a bowl of salad, words do matter. 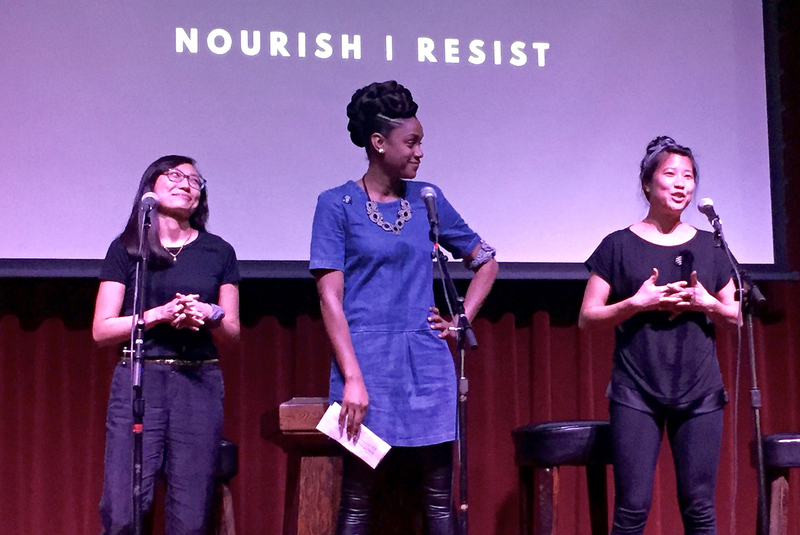 Three members of the woman-led collaborative of people of color, Nourish/Resist, encouraged audience members to check their language and privilege, "stay woke" and create safe spaces for stories of struggle and survival. They use food as a tool for resistance. 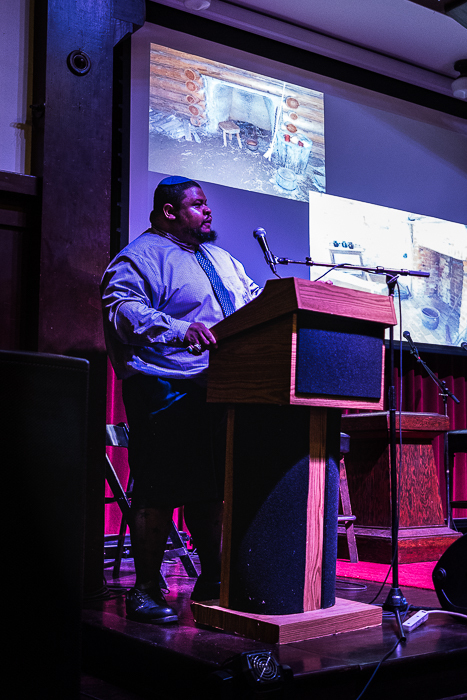 Culinary historian Michael Twitty, author of the award-winning blog Afroculinaria, recounted that as a kid, he hated soul food and hated being black, even though he was “the great-grandson of Jim Crow people.” If he didn’t like The Wiz, of course, he hated collard greens and chitterlings. He called okra “an instrument of Black medieval torture” and longed for fast food. Until one day when his grandmother said, “we’re gonna make some lemonade” and started singing a song “lemonade, lemonade, made in the shade, stirred with a spade…” When he asked her about the song she told him it was a slave song passed down from her great-grandfather who was born into slavery. That piqued his curiosity and once he started asking questions, “the kitchen was filled with ancestors and I got to meet them.” He also learned the stories behind the iconic dishes. 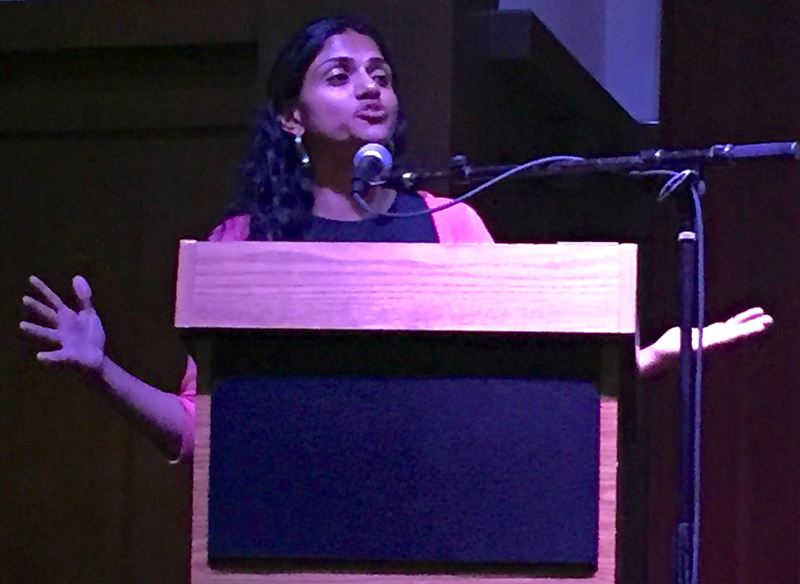 In her talk, entitled "On Ending Jim Crow In The Bay Area Restaurant Industry," Saru Jayaraman of ROC United (Restaurant Opportunities Centers United) discussed her organization’s goal to improve wages and working conditions for the nation’s 12 million restaurant workers. She reminded the audience that while white men can earn $150,000/year as fine dining servers or bartenders, the majority of food service workers are the lowest paid of all employees. 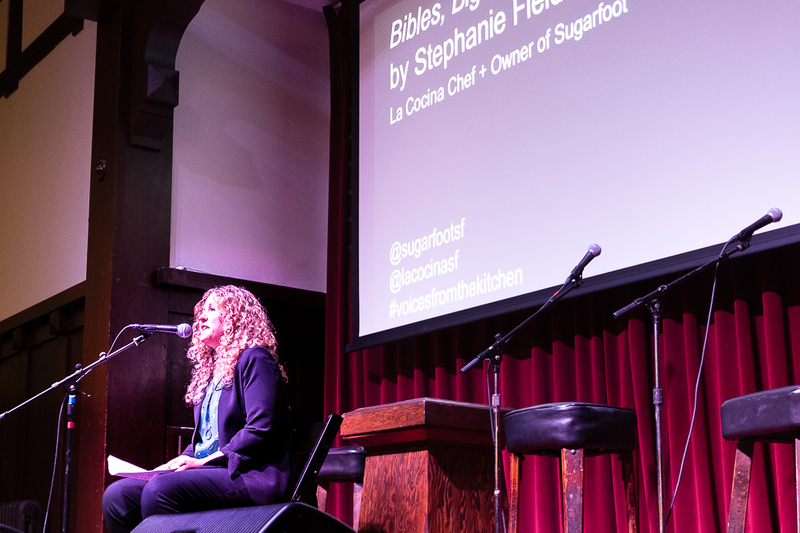 One of the most compelling stories of the evening was delivered by Stephanie Fields, of Sugarfoot Kitchen, a “Southern comfort catering company,” and a graduate of La Cocina. 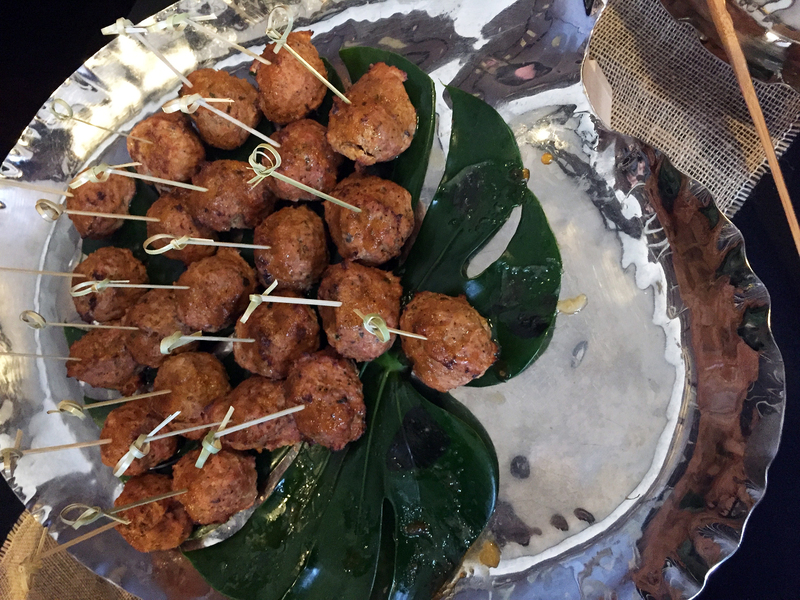 Her pepper jelly turkey meatballs were a standout at the pre-show food tasting. Fields described her hometown of Henderson, North Carolina in the rural South, a place where the working poor are disillusioned and angry and 36% of residents live in poverty. In a town where 60% of the population is Black, she told us, “You can still call up the KKK for your daily dose of hate from Grand Wizard Mr. Bobbit (and she played his offensive phone recording to prove it). While her family often used the n-word in anger, Fields grew up with friends from both cultures. She also realized: “I cannot undo the pain, undo the shame and undo the history, but what I can do is acknowledge where this food comes from and I can be grateful and be kind.” “Empathy,” she added, “is being a member of a tribe that isn’t yours, but still is." The next F&B: Voices from the Kitchen event will be on October 19 with the theme: Refuge.